Try the free demo. A dynamic game of motion, exploration & discovery. Explore the world of Spheres by Sense of Place Games. 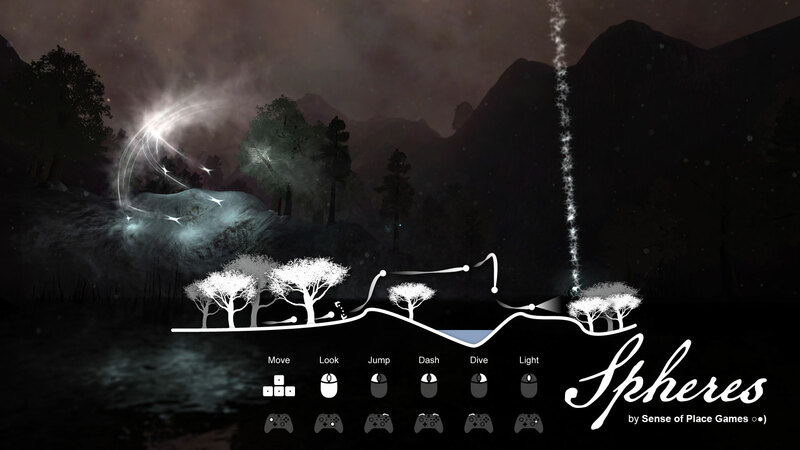 Experience open-world physics based arcade action in Spheres by Sense of Place Games. Explore the mountains for one in-game day in this preview demo. Amazing opening scene while dropping to the surface. The player is pretty much left to explore and figure out how the world works on their own in this build. One aim of the demo is to get player feedback - how much hinting and guidance (if any) should be added to the final game design is a big part of that process so all thoughts, comments and suggestions welcome!